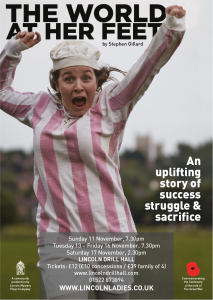 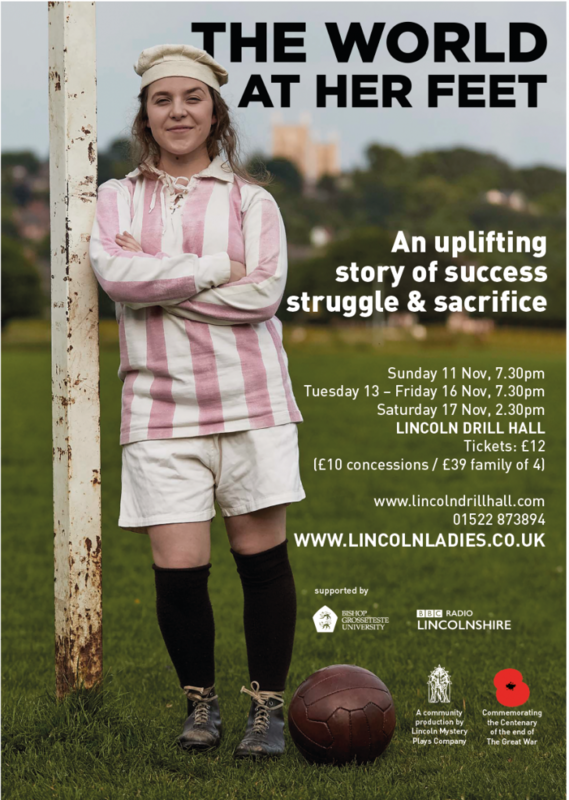 In November 2018 as the nation marked exactly 100 years since the end of The Great War, the Lincoln Mystery Plays Company presented the extraordinary story of Women’s Football in Lincoln a century ago through the eyes of one of the most enduring teams of the time, the Lincoln Ladies. 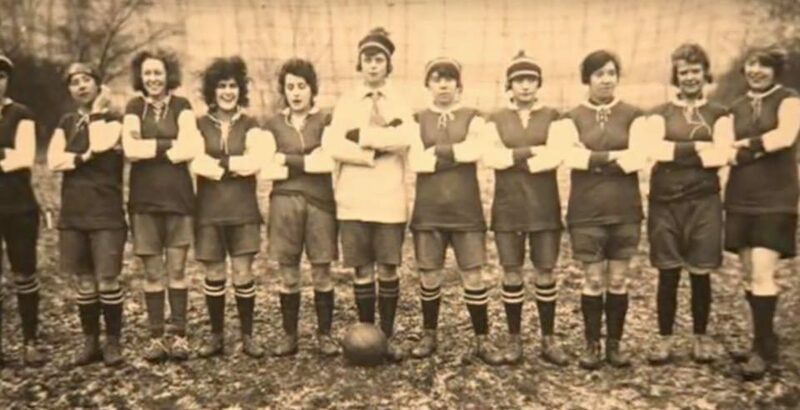 ‘The World at Her Feet,’ set in Lincoln 100 years ago, tells the amazing story of women’s football in the city at that time. 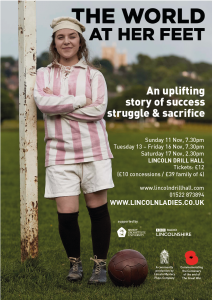 Especially written by local playwright Stephen Gillard, the show tells the remarkable story of the Lincoln Ladies and the extraordinary challenges faced by Women and Men in the aftermath of the greatest conflict the world had ever seen.